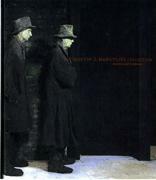 The Martin Z. Margulies Collection is an art history book that has recently been released. The book includes such notables as Lichtenstein, De Kooning, Cy Twombly, Stella, Phillip Guston, Miro, Pollock, Morley, Warhol, Jasper Johns, Richard Serra, Brice Marden, Wesselmann, Lewitt, Rothko, Rauschenberg, and Picasso. Recognized as one of the major collections of contemporary art in the world, it spans significant movements in art from Abstract Expressionism through Pop, Minimalism, and Conceptual Art, to monumental sculpture. Many of the most important and intriguing artists of th 20th and 21st. 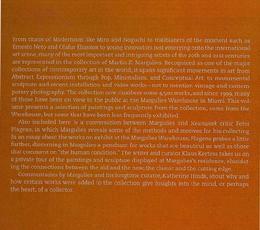 centuries are represented in the collection of Martin Z. Margulies. 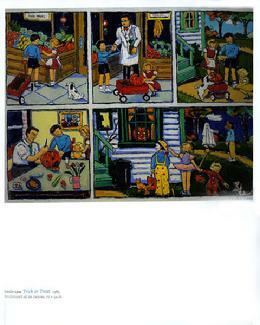 For this publication, Mr. Margulies selected from his collection, some of his favorite artists to be included. The collection now numbers some 4,500 works, and many of those have been on view at the Warehouse, a museum in Miami that is open to the public.